You must be a member of the Seville Book Group to attend this activity. Would you like to join this group? Elizabeth (who will present the book) posted about this book in early November, on the Wall of this group. 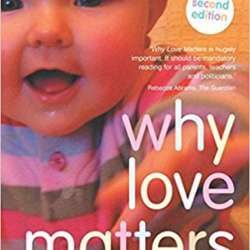 Briefly - this book is about a specific instance of the plastic brain, which we discussed in a previous meeting: how a baby's brain develops certain abilities because of the loving interaction with the baby's parents, traditionally the mother. This development in the very early stages has long-lasting consequences and, if impeded, can effectively prevent an adult from forming reationships (not just romantic ones) and from communicating effectively. The social and also political implications are massive. The book condensates in a readable way the results of wide-ranging research in neurology and endocrinology, much of it very recent.